We're sure 2018 is going to be great and there is no better way to start a new year than getting a golf holiday booked. 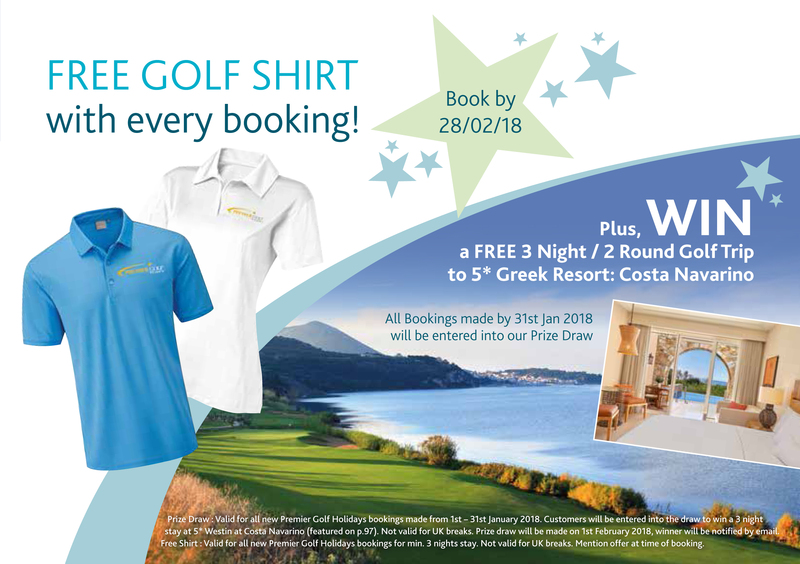 To give you even more reason to get your golf holiday arrangments in place we are offering these fantastic promotions for bookings made in January. Plus holiday deposits are still just £35.00 per person - any questions, please ask!